This project is initiated to work on the fundamental principles of health, principles of ecology, principles of fairness and principle of care. As Organic Agriculture works towards keeping the health of soil, plant, animal, human and the world as a whole together. 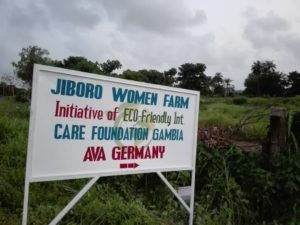 This project would foster to connect the people of community with their abundant resources as it production high quality food products along the value chain to maintain the stability of the ecosystem. In Organic food production, the living ecological systems are position to work in cycles. The project would teach the community how to work with their ecological systems, copy them and keep them in right standing. This would create a balance in the ecological system as reuse of resources across the value chain is embedding in the bedrock of the community. Building on food system that brings about fairness with regards to the common environment and livelihood of the people of the community. As Fairness is measured by respect, even-handedness, impartiality and ownership of the shared investments among people of the community. The whole value chain of the organic food chain dwells on the understanding of ensuring fairness at all levels between all actors in the value chain. In Organic Agriculture, the care taken in providing for today should be fashioned in a way to maintain the health of the people and the environment of today, tomorrow and forever. •	To the further development of the community.